Odds are, there are many home and business owners in your area who would also like the idea of going solar—so why not switch to solar as part of a larger community? Community solar is an excellent option for multiple members of a neighborhood or community to go solar at the same time. Traditionally, the solar provider purchases a nearby plot of land, then places their panels on the land—opposed to on an individual home or building. The number of panels required depends upon the number of community members to go solar—combined with the expectant growth of more community members who will transition to going solar over the next few years. What is the benefit of community Solar? The benefits to Community Solar are many, but one of the most compelling reasons are the cost-savings benefits. Since multiple community members are going solar at the same time, both the initial and the ongoing expenses are reduced. Not only that, going solar as part of a community is often the tipping point for those who are still on the fence. Community Solar can be installed in housing developments, shared commercial and residential neighborhoods, and in communities both large and small. Learn more about community solar. 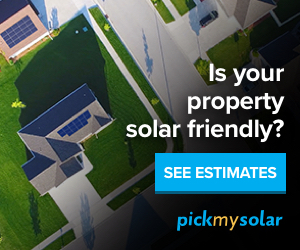 Get started today with this solar panel cost calculator. Great works Alex and team.Its very hot here in Kenya. Bring the solar energy which is clean and cheap! George Opiyo. Your former college mate. Thanks George for your comment. With the reducing cost of solar PV, a time will come when solar is cost-effective in Kenya and reach grid parity to be become competitive with other conventional sources of energy. Right now solar still needs subsidies to be cost-effective in Kenya, but I have seen some companies still implementing solar energy in Kenya which I believe it depends with where they are sourcing their capital as well as their solar technology. For example if you were to implement solar technology in the USA, it requires tax credits from the Federal government as well as State rebates from the States. For more details, please see the solar calculator and see how the technology is expensive without the use of these type of financial instruments. That’s why solar PPA is an effective business model for promoting solar energy, especially here in the US because it overcomes the high investment costs of the technology for the end-user and transfers the risks to the investor. Application of this business model in Kenya will need a policy and regulatory structure to support it. In other words, there is no law to support solar PPAs in Kenya and therefore many companies or investors will shy from investing in solar PV using this model. Let’s open this discussion to anyone that has different thoughts? Is it possible to implement solar technology in Kenya and still be cost-effective? Your thoughts on this topic will be highly appreciated. Thank you. Grenergys Definition of “A Renewable Energy Future”. Techniques of harvesting Renewable Energy have been around for decades but; the importance of improving their efficiency and increasing their availability is now growing more rapidly than ever before. As fossil fuels sink more resources into dangerous practices like hydraulic fracturing and prospecting in extreme environments at the Earth’s poles, the world is looking for a way out of fossil fuel dependency. Photovoltaic panels, Wind turbines, Geothermal Plants and Bio-Energy Processors are getting more sophisticated as the pace of research ramps up and the environmental impact of using renewable sources of energy as opposed to rapidly dwindling supplies of combustible fossil fuels is being advocated across the globe. Hence, our role of developing renewable energy power generating systems comes into play. With the help of our global partnerships and industry stake holders, we propel the renewable energy industry towards providing Clean, Sustainable, Environmentally Safe and Secure Investments in energy. In pursuit of enabling end users benefit from energy while ensuring the world is an environmentally better and safer place to live in, our network of partnerships has grown to global proportions. This has tremendously helped the renewable energy industry in coming up with well-engineered and environmentally safe solutions by actively participating in research and developing projects that generate, clean, sustainable, environmentally safe and reliable energy for every aspect of the human society. We are constantly in search of renewable energy organizations that pride themselves in championing for clean, sustainable and environmentally safe energy generation. In so doing, we will eventually have global organizations with common interest and commitment in reducing reliance on fossil fuels and expanding the availability of renewable sources of energy in the world; broadening and reflecting a shared perspective of renewable energy being the best solution for building a safe and secure energy future. With innovative resource commitment the world will then uphold as a beacon of change and transformation through renewable and sustainable energy. Working across a broad spectrum of activities to advance and growth and reliance on renewable energy, we will continue strengthening renewable energy development processes by matching resources with opportunities. This requires a persistent presence of continuously building business relationships, networks and strategic partnerships that promote, institute and deploy the use of renewable energy by providing professionally developed solutions. As advocates of change in energy generation technologies, we advocate for energy policies that promote increased use of comprehensive, affordable and natural occurring renewable energy resources. Since the formulation of this process, we’ve seen a tremendous growth of renewable energy in world, and we are glad to inform all stake holders and consumers that the future of renewable energy is looking better than ever. Having a continued role in making this happen, we will eventually be proud to be associated with all that advocate a greater outreach. The growth, development and advancement of clean energy in the world depends on the collective and consistent efforts of the global population as “we” the solution providers play the role of availing resources that would eventually bring the appropriate resources to the ventures as we also ensure that the technologies become increasingly competitive and accessible. Thank you for reaching out and for connecting with us. We would be more than happy to work together with your team. To this end, we could help to share your case studies and projects that you are implementing on the ground. Businesses and individuals would be happy to see case studies and how for example, switching to solar can help in reducing the carbon footprint for them and save them a significant amount of money that is currently being spent on their energy bill. Sharing information on Solar PPAs, Solar Leases and other projects you may have will help to shed some light with regards to clean energy like solar energy.This will create an impact when more individuals and businesses can go solar or use other forms of renewables, thereby increasing their rate of adoption. We want to continue with this type of engagement and do something meaningful for the planet and for the economy in general, because when there is increased usage of renewable energy, it translates to energy independence or energy security. Thank you and I look forward for more discussions from your team.